Can you confirm these amateur observations of Amphisbaena fuliginosa? amazonica: Brazil (Para, Amazonas, etc. 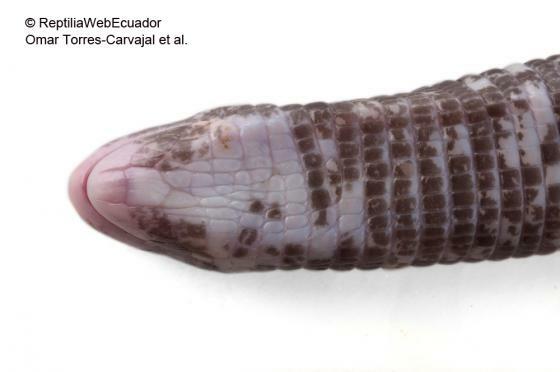 ), Colombia (Amazon Valley from Manaus up to Letigia, Colombia); Type locality: "Manaus, Amazonas, Brasil." bassleri: Peru (Tambopata, Madre de Dios: [HR 31: 188]), Ecuador, Bolivia (Chuquisaca, Cochabamba, La Paz, Santa Cruz), and the Ucayali River valley up to the upper Amazon in Loreto, Argentina (Chaco Austral (Serie, 1915)); Type locality: "Roaboya, Loreto, Peru." Trinidad; Brazil (Pará: [HR 31: 253], Goiás); Type locality: "America" = Panama (cf. Vanzolini, 1951: 59). 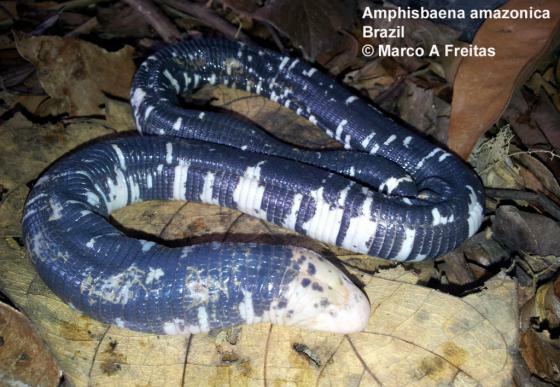 wiedii: Brazil (lower Amazon, Goias, Minas Gerais); Type locality: "Santa Maria, Baia, Brasil." Types Syntypes: NRM (Stockholm Museum), ZMUU (Uppsala Museum, Andersson, 1899: 7). Comment Synonymy mostly after GANS 1967 and GANS 2005. Although recent authors considered the various subspecies as valid species ther status seems to be poorly supported. Some authors suggest to retain them as subspecies or synonyms of A. fuliginosa (e.g. M. Hoogmoed, pers. comm. 1 Nov 2016, 24 July 2017). Distribution: records from areas outside the given distribution have been assigned to forms that were considered as subspecies previously,i.e. records from Panama, Peru (Tambopata, Madre de Dios: [HR 31: 188]), Ecuador, Colombia, Brazil (Pará: [HR 31: 253], Goiás), Bolivia (Chuquisaca, Cochabamba, La Paz, Santa Cruz). 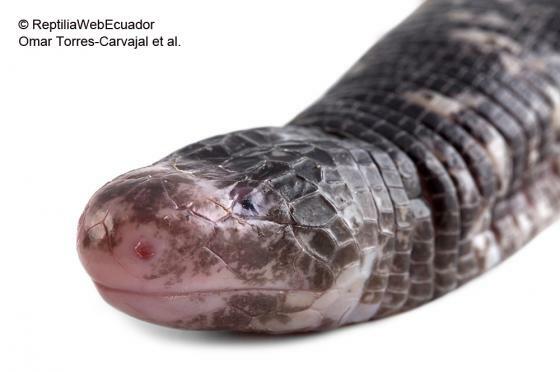 A. bassleri is not listed for Argentina by Avila et al. 2013, Zootaxa 3616 (3): 201–238. 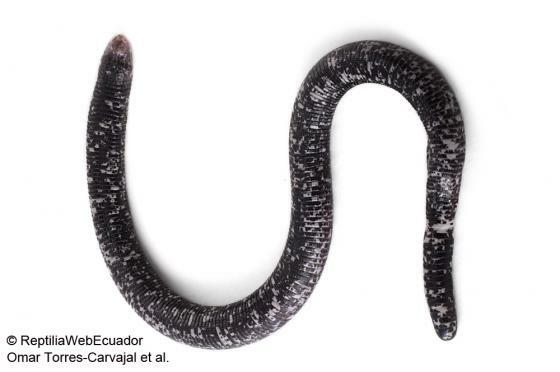 A. varia is not listed for Venezuela by RIVAS et al. 2012. 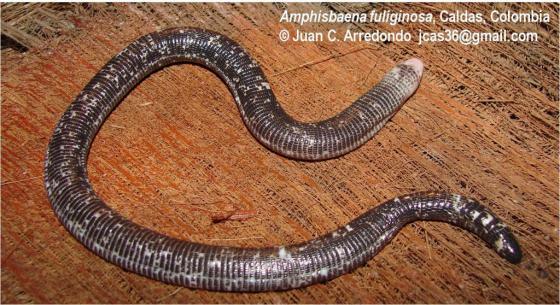 Type species: Amphisbaena fuliginosa is the type species of the genus Amphisbaena LINNAEUS 1758. Diagnoses: Table SI in Costa et al. 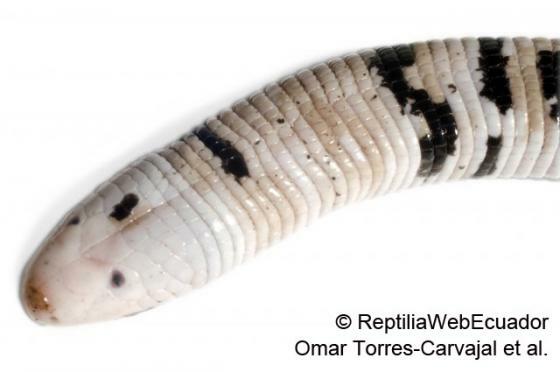 2015 has morphological diagnostic characters of two-pored and three-pored South American Amphisbaena species (but not A. fuliginosa s.l.). Species numbers: amazonica: 10458, bassleri: 10467, varia: 10555, wiedi: 10557.
amazonica: named after its type locality in the Amazon. Scrocchi, G. & L. GONZÁLES 1996. 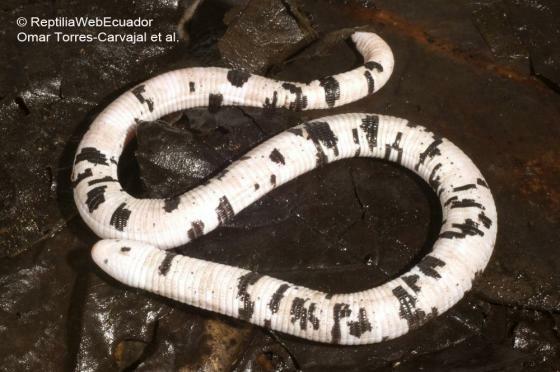 Informe sobre la herpetofauna del Parque Nacional Noel Kempff Mercado, Santa Cruz - Bolivia. Consorcio FAN-TNC, Santa Cruz. 32 pp. Vitt, L.; Magnusson, W.E. ; Ávila-Pires, T.C. & Lima, A.P. 2008. Guide to the Lizards of Reserva Adolpho Ducke, Central Amazonia. Attema, Manaus, 180 pp.